Keep your phone fresh with a customised Sony Xperia M2 hard case. A stlyish white base colour with your photo or design printed on top. Ensure protection for your phone with your own unique case. Order before 11am (EST), ready to ship within 2 business days. My personalised Sony Xperia M2 case. 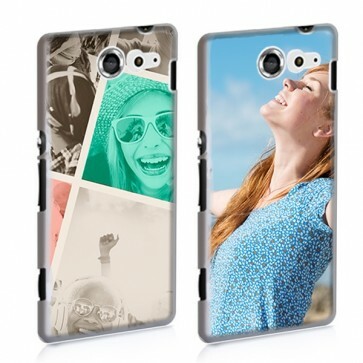 Making your very own personalised Sony Xperia M2 hard case here at GoCustomized is a quick and easy process. All you need is one of your favourite pictures either straight from your computer, tablet, smartphone, or Facebook/Instagram. The M2 hard case offers a high a level of protection for your device by protecting the sides and back against scratches and dents. With one of your personalised phone cases you are sure to keep your Sony Xperia M2 looking newer, for longer! How do I make my own design? 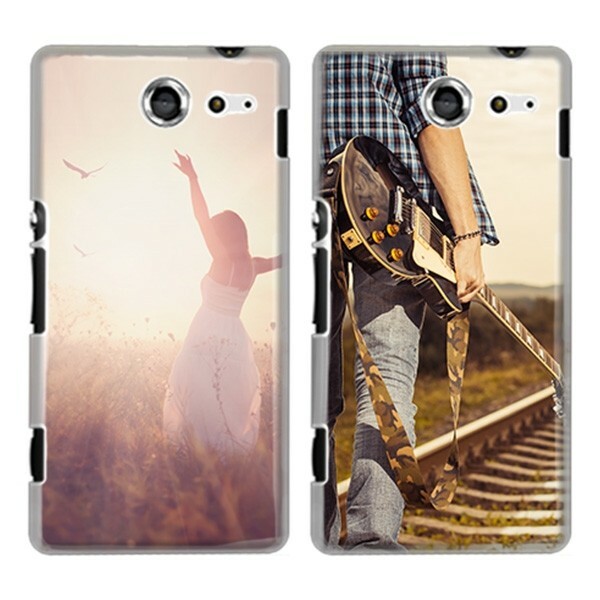 By using our specially made design module, you will have your personalised Sony Xperia M2 hard case finished in no time. First you are given the option to choose a base colour for your case. The Sony Xperia M2 only has a white option available at this time. Secondly, you can upload a photo, image, pattern or pre-made design to the design module straight from your own device or social media platforms Facebook or Instagram. Lacking a little inspiration right now? Check out our Pinterest page for ideas! Once we have received your order, we will begin making your case immediately. If any of our specialists think there might be a problem with your design that would result in an unsatisfactory finish, they will contact you with possible solutions. 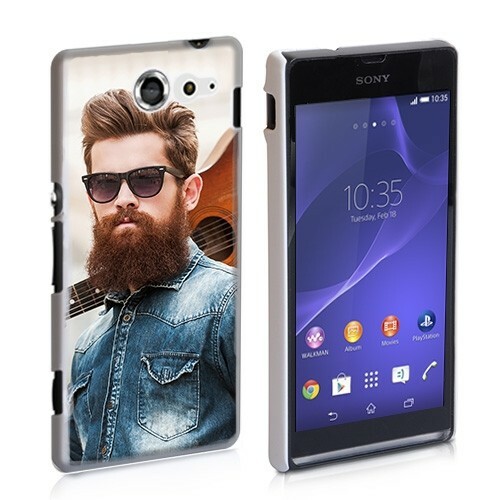 Here at GoCustomized we use only the best materials in making your personalised Sony Xperia M2 hard case. Our cases our printed with a highly scratch resistant ink which keeps your design and phone looking crisp for longer. Shipping is quick and easy!